For most homeowners, installing a new roof doesn’t happen often, and can be a stressful experience. Given the expense of a new roof and the important role your roof plays in protecting your home, it is essential that the job is done correctly so that the roof will extend to or beyond it’s expected lifetime. Given the investment you are making, choosing a reputable roofing contractor is extremely important. Elm Creek General Construction is a full-service roofing company with an impeccable reputation for quality, integrity and honesty. Elm Creek General Construction’s residential roofing projects include everything from asphalt shingle and ceramic tile roofs, to standing seam metal roofs. Your home is one of your biggest assets, trust Elm Creek Construction to do the job right, the first time. 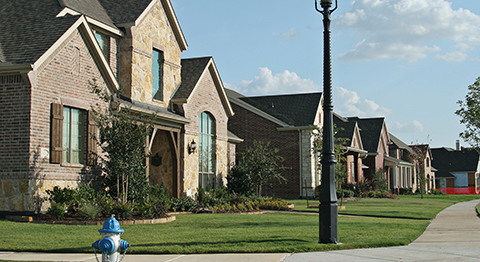 The most popular residential roofing system in North Texas, asphalt shingles are available from several manufacturers in a wide range of styles and colors, with warranties ranging from 20 years to lifetime. 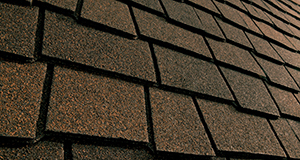 The most basic and economical shingles are typically referred to “3-tab” shingles, as each shingle is manufactured to give the appearance of three separate shingle tabs. An upgraded and increasingly more popular product is the architectural or dimensional shingle which uses a thicker shingle to provide a three-dimensional appearance on your roof. Beyond these, each shingle manufacturer produces their own premium, designer or luxury lines of shingles aimed at meeting the needs and styles of almost any homeowner or home design style. 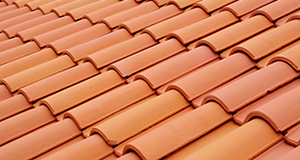 Clay tiles are produced by baking molded clay into tile while concrete tiles are produced by combining cement, sand and water, to create a durable shingle. Both of these reliable roofing systems, with proper maintenance, should last for 100 years or more. While costs are higher for this type of roofing product, the unique profiles of tile roofs provide a polished, classic appearance that will certainly increase the value and curb appeal of your home. 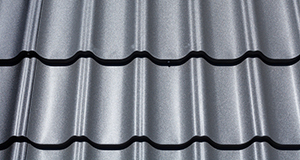 Metal roofing is another popular option in North Texas. While metal roofing is more expensive than asphalt and composite shingles, it has a life of 40-60 years, which is attractive to Texas homeowners. Metal roofing is also available in copper and other colorr, in steel or aluminum composition. There are many different looks and textures with metal roofing that allow homeowners to differentiate the look of their home versus more traditional roofing products.